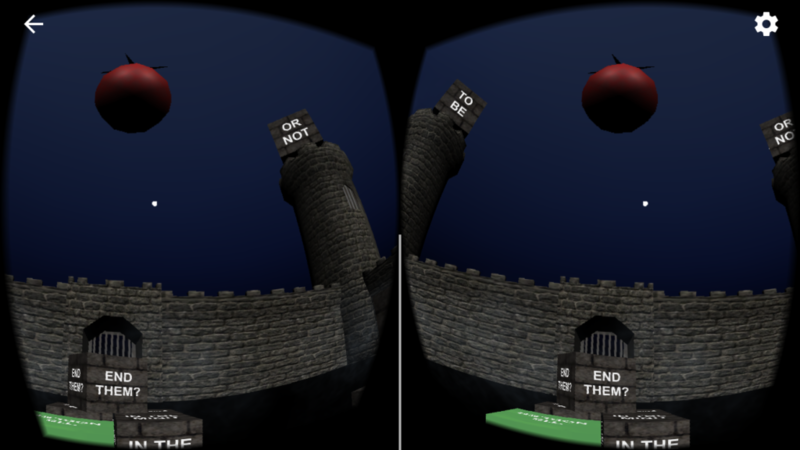 Explore the castle of Elsinore in virtual reality with Google Cardboard and your smart phone. 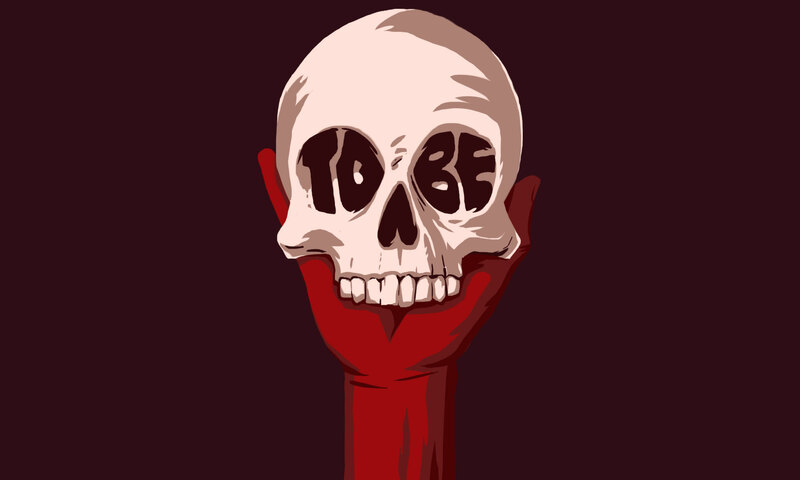 This educational game will help you to learn and understand the "To be, or not to be" soliloquy from Shakespeare's Hamlet. See the world through Hamlet's eyes as he searches for the right words to express his inner conflict. Rehearse your lines on the ramparts or perform for a fickle audience in the courtyard. They will applaud your successes and shower you with rotten tomatoes when you make a mistake. The speech is divided into six logical sections. For each section the words are written on blocks from the castle walls. Select the blocks in the correct order to speak the speech and advance to the next section. Once you have mastered the monologue, switch to the more difficult mode. Or turn on the hints to help you find the right words. 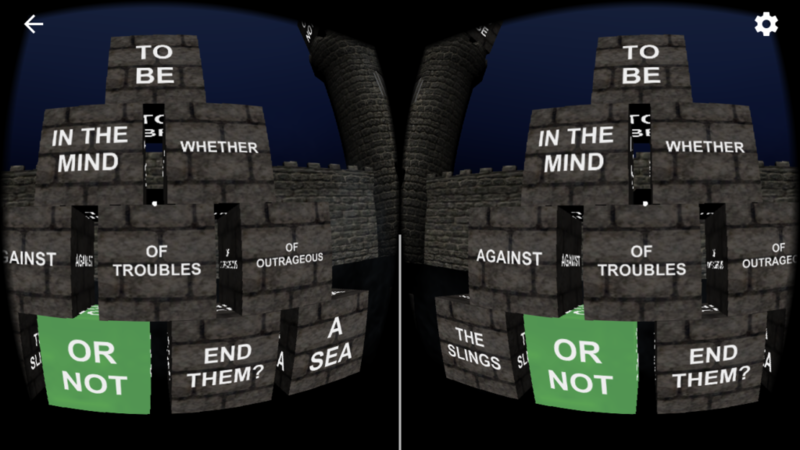 Entering the world of Hamlet in VR is a great way to explore the language of Shakespeare and to strut and fret upon the stage for fun.